Information & eGovernment Authority (iGA) Chief Executive Mr. Mohammed Ali AlQaed headed the 20th GCC eGovernment Executive Committee Meeting – hosted during 24th and 25th of March by Oman. The highly esteemed meeting was attended by chief executives and general managers of GCC eGovernments. During the meeting, the implemented resolutions of the General Secretariat’s report were viewed. The committee also discussed the status of the eGovernment Strategic Guidelines- second phase, approved during the 5th GCC eGovernment Ministerial Committee meeting, headed by the Minister of Interior Lieutenant-General H.E. Shaikh Rashid bin Abdulla AlKhalifa, in Bahrain during March 2017. The committee presented the outcomes of implementing the guidelines’ second phase, including preparing a study to establish an eGovernment Excellence Center, along with developing a framework to issue a periodic reports covering the eGovernment achievements, establishing a GCC domain on the internet concerned with GCC entities. The committee also addressed the development of a progressive information security plan in the event of emergencies taking place in GCC states, combined with a framework to enhance information security initiative. 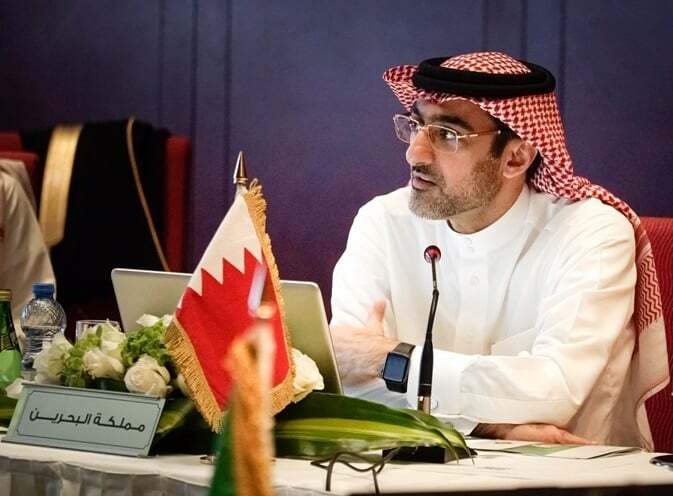 The Kingdom of Bahrain presented a study in the field of eGovernment Strategic Guidelines where Dr. Khalid Ahmed AlMutawah – Enterprise Architecture & Information Technology Director at iGA – addressed the measures and requirements of the next phase. On the other hand, the committee presented – during the meeting – a study of utilizing framework agreements with ICT suppliers – provided by the Sultanate of Oman. It also discussed a proposal on developing the GCC Portal that the United Arab Emirates presented. After viewing the agenda of the 15th meeting for the National Center of Computer Emergency Response Committee, the committee approved the recommendation put forward. The conducting of this meeting on regular basis aims at enhancing collaboration mechanisms, benefiting from GCC experiences, exchanging of experiences amongst one another in the eGovernment field resulting in various important recommendations that enhance the level of eGovernments in the GCC.